Now Fresh is made by Petcurean. The company describes itself as an independent, Canadian-owned family business. They have been making pet food since 1999. Their foods are sold at pet food specialty stores. In addition to Now Fresh, the company also makes a product line called Go! (formerly Go Natural) which they describe as a “fitness food” for cats and dogs, and for pets with special needs; and Summit Holistics, a line of foods that are made without beef, wheat, corn, or soy, and no added growth hormones, by-product meals, or artificial preservatives. Now Fresh foods are grain free and gluten free. They also use “market fresh meat,” according to the company, and no meat meals. 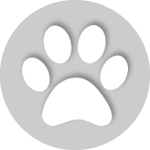 Petcurean says that the company uses premium quality natural ingredients to make their foods. Petcurean says that they are 100 percent “China-free.” They no longer even source taurine from China. Who Manufactures Now Fresh dog food? Petcurean dry pet foods are produced in Ontario, Canada. Our canned products are primarily produced in Ontario, Canada and secondarily at a plant in New Jersey, USA. Note that Petcurean does not say that they own their own plant or that they make their own foods. We consider this to be an evasive and deceptive response and certainly misleading. We do not know who makes Now Fresh or Petcurean’s other foods. According to one report from The Dogington Post, Simmons Pet Food Inc. makes canned food for Petcurean but this information is several years old now and it may be out of date. 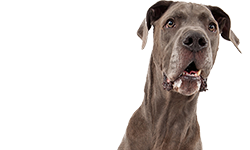 Simmons is the largest wet pet food private label manufacturer in North America. Simmons has four manufacturing plants, including sites in Ontario and New Jersey. Petcurean’s dry foods may be made by Elmira Pet Products, Inc. 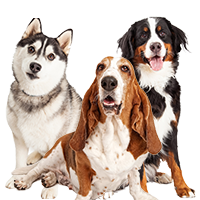 This company is located in Ontario, Canada and makes dry pet foods on a private label basis. We should be clear that pet food companies are not required to manufacture their own food in their own facilities for the foods to be good quality. Many companies use co-packers to manufacture their foods. This is especially common with companies who have canned recipes since it takes an entirely different set of equipment to make canned/wet food than to make dry pet food. As you might guess, this equipment is not cheap. Buying this kind of pet food manufacturing equipment is a huge investment for a company. Many companies, especially newer companies, do not have the money to invest in a manufacturing plant or equipment at first. Sometimes a company may only make dry food and outsource their canned foods to a co-packer, or vice versa. Co-packing only becomes an issue because a company sometimes has less quality control over what the manufacturer does and how the food is made. A good company, or a large one with the right equipment and set-up, will often be a co-packer for lots of well-known pet food companies. If there are no problems with the foods, you might never know it. 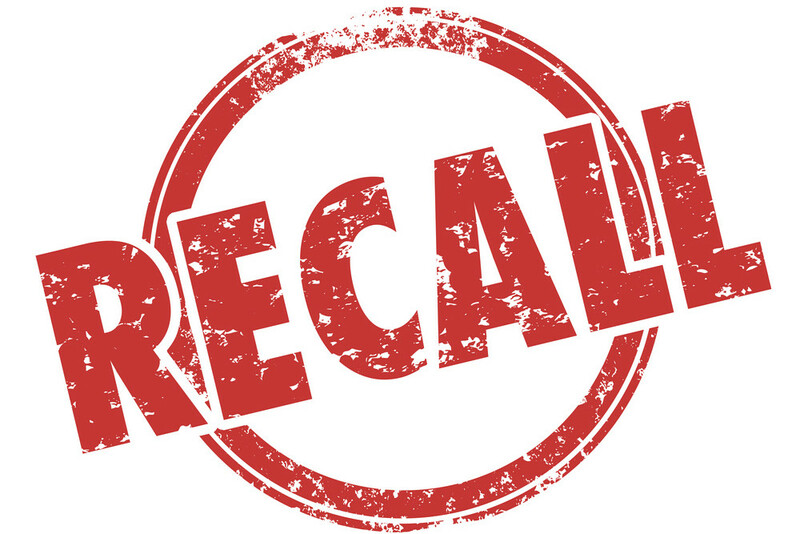 However, if there are problems, you will probably find out with a recall notice when more than one company is involved. Most people were shocked to discover how many canned food brands were being co-packed by Menu Foods in 2007 when the melamine problems surfaced. 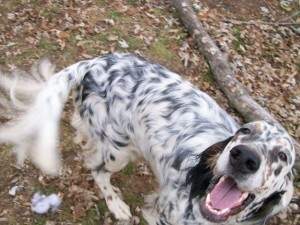 It is also enormously frustrating for pet owners because we want to know who makes the foods. Companies, including co-packers, have recall histories that can be found online. Knowing this information can help us make decisions about which companies and pet foods to trust. Some companies simply won’t volunteer this information or they try to give the impression that they make their own foods when they don’t. Even when you know (or think you know) who makes pet food for a company, the information is subject to change. Pet food companies often change co-packers. In these cases, you just have to try to keep up with who is making the food and what kind of manufacturing record they have. 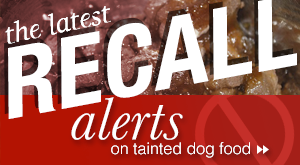 We did not find any recalls for Now Fresh or Petcurean products in the FDA database or other sources we checked. Now Fresh offers coupons all over their web site. Click on any of their foods for a coupon for a free small trial bag. 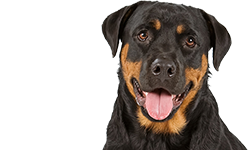 Petcurean’s Now Fresh line of foods includes 11 dry dog foods for all breeds, small breeds, and large breeds. 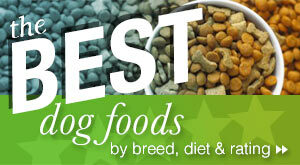 Now Fresh dog foods are grain free and gluten free. They use “fresh” meats such as turkey, salmon, and duck – and they do not use any meat meals. Other ingredients in the foods, per the company web site, include omega-3 and omega-6 oils from coconuts and canola. They say that the foods include berries, fruits and vegetables such as peas, spinach, cranberries, pumpkin, blackberries, alfalfa sprouts, kelp, lentils and carrots. The foods have no rendered meats, no by-product meals, and no artificial preservatives (and no ethoxyquin). Fish is also tested for heavy metals before use. Of course, omega-3 oils from animal sources are usually considered better than those from plant sources. And most people don’t buy dog food for the fruits and vegetables. We are also somewhat surprised to see a big photo of raspberries(?) on the web site for the dog food. But this is marketing and it’s more important to look at other elements of the foods. If you read Petcurean’s lengthy FAQ pages, they state (repeatedly) that they do not use any ingredients from China, including vitamins and minerals, premixes, or taurine. This is an important concern for many dog lovers but Petcurean probably doesn’t need to keep stating it quite as much as they do. They seem to be making this statement to avoid answering some other questions at times. Most ingredients are sourced from North America with the exception of lamb and venison which are brought from Australia and New Zealand. All foods are AAFCO-approved using nutrient profiles. The calcium to phosphorus ratio for the puppy foods looks a little off, though it is closer to the usual 1.2 : 1 ratio with the large breed puppy food. There is an allowable range within this ratio but the phosphorus levels look lower than normal in many of the Now Fresh foods. Lower phosphorus is often recommended for dogs (and cats) with kidney disease but otherwise it should be balanced with the calcium in the diet. You can view the full nutrient profiles for each food on the web site. There is a link at the bottom of the page for each food when you read the guaranteed analysis. Most of the Now Fresh foods have moderate amounts of protein and fat, and average amounts of fiber. They are also moderately-rich in terms of calories. How would you rate Now Fresh? Most of Now Fresh’s kibbles are made with a combination of turkey, salmon, and duck. We thought some dog owners might be interested in their Red Meat Recipe for Adult dogs so that’s the food we’ve chosen for our review. According to Petcurean, the red meat recipe is made with lamb, venison, and pork. As with their other foods, it contains omega-3 and omega-6 oils from coconuts and canola. It is a grain free, gluten-free food. And it contains no wheat, beef, corn, or soy, and no rendered meats, no by-products, and no artificial preservatives. Now Fresh states on their web site that their lamb and venison come from Australia and New Zealand. The first five ingredients in this food are de-boned lamb, whole dried egg, potatoes, potato flour, and peas. De-boned lamb is lamb with the bone removed. This is a whole meat so it contains lots of moisture. If the moisture were removed, this ingredient would be listed much lower on the list. Lamb is a good protein for dogs. At one time it was a novel protein but it’s widely used today. In terms of nutrition, lamb has about 47 percent protein and 53 percent fat. It’s a good source of Niacin and Zinc, and a very good source of Vitamin B12. If you are a fan of Petcurean or Now Fresh, here is one of their secrets. The second ingredient in this food is whole dried eggs. In fact, the second ingredient in most of the Now Fresh foods is whole dried eggs. Eggs are a terrific source of animal protein. They are 35 percent protein, 63 percent fat, and 2 percent carbs. This food is a good source of Riboflavin, Vitamin B12 and Phosphorus, and a very good source of Selenium. They are also a great source of omega-6 fatty acid. But the best thing about eggs is that all of that nutrition is easy for your dog to digest and readily bioavailable. Eggs are always an easy way for a dog food company to up the protein percentage and add nutrients to a food. They used to be cost effective, too. But not any more. Because of changing regulations about housing for hens that lay eggs, the cost of eggs has nearly doubled in the last year in many places. Avian flu in the U.S. midwest has also led to the deaths of millions of chickens as a public health measure. There are currently a lot of pressures on the egg market causing the price of eggs to go up. This could result in higher prices for Now Fresh in the future or a change in the recipes. The third ingredient in this food is/are potatoes. Most dogs should be able to eat a food containing potatoes without any problem. Some people have concerns about solanine (a glycoalkaloid toxin), but these appear to be unfounded with regard to pet food. If your dog has gastrointestinal problems (“leaky gut” or other issues), you may want to avoid foods that contain lots of potatoes. But potatoes are okay for most dogs. They are a complex carb with 92 percent carbohydrates, 7 percent protein, and 1 percent fat. They are also a good source of Vitamin C, Vitamin B6, Potassium and Manganese. The fourth ingredient in the food is potato flour. We are less happy to see potato flour in the food, coming after potatoes, especially in the top five ingredients. Potato flour is starch extracted from potatoes. Cooks use it for thickening soups. It is gluten free and often used as a substitute for wheat flour. It does have some vitamins and minerals including Vitamin C and Vitamin B6; it is also a good source of Potassium, Calcium, and dietary fiber. It is probably used here as a binder for the pet food extrusion process. The fifth ingredient in the food is peas (followed by pea flour). Peas contain some useful vitamins and minerals. 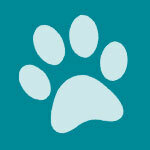 Used in pet food, they usually refer to chickpeas, field peas, or split peas (yellow or green). They have a nutritional value around 25 percent protein (Yes, peas! Split peas. ), 72 percent carbs, and 3 percent fat. They are a good source of Thiamin, Folate and Manganese, and a very good source of Dietary Fiber. However, there are some serious downsides to using peas in large amounts in pet foods. They are phytates so they can interfere with the absorption of nutrients in the food. This is true of many lentils and legumes, such as soy, too. They are also phytoestrogens which means they can interfere with a dog’s hormones and endocrine system. Again, the same is true of soy. So, while many good quality dog foods now avoid the use of soy, they are relying heavily on peas, legumes, and lentils in their foods as a plant source of protein, as a source of fiber, and as a carb. 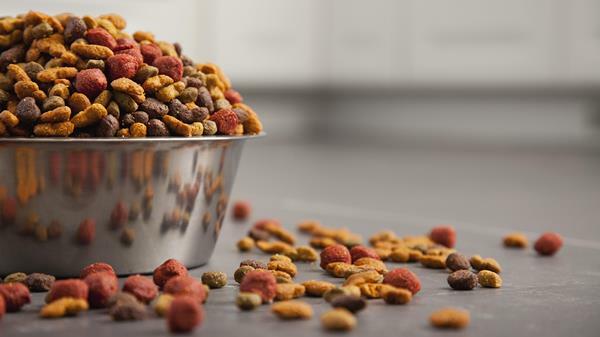 They have largely replaced corn and wheat in many foods but they are not particularly good for dogs and many dogs have problems digesting them. The food is labeled a “red meat recipe” for dogs and there are a couple of other meats listed – de-boned venison and de-boned pork. These are nice meats but they are the seventh and eight ingredients. They are also whole meats so they contain a lot of moisture. We realize that Petcurean is marketing this food with the idea of “fresh meats,” but that doesn’t change the fact that these meats contain a lot of water. They would need to appear much closer to the top of the ingredient list to make more of an impact. Remove the water and their protein content falls much lower on the list. The food also contains a lot of fruit and vegetables which provide carbs and fiber – apples, sweet potatoes, tomato, carrots, pumpkin, squash, bananas, broccoli, and so on. Yes, these foods have various vitamins and minerals. They probably add some beneficial nutrients to the food. But not enough to keep Petcurean from adding vitamins and minerals to the food the same way most dog food companies do. We note that these are chelated minerals which are used by a lot of more expensive dog foods. 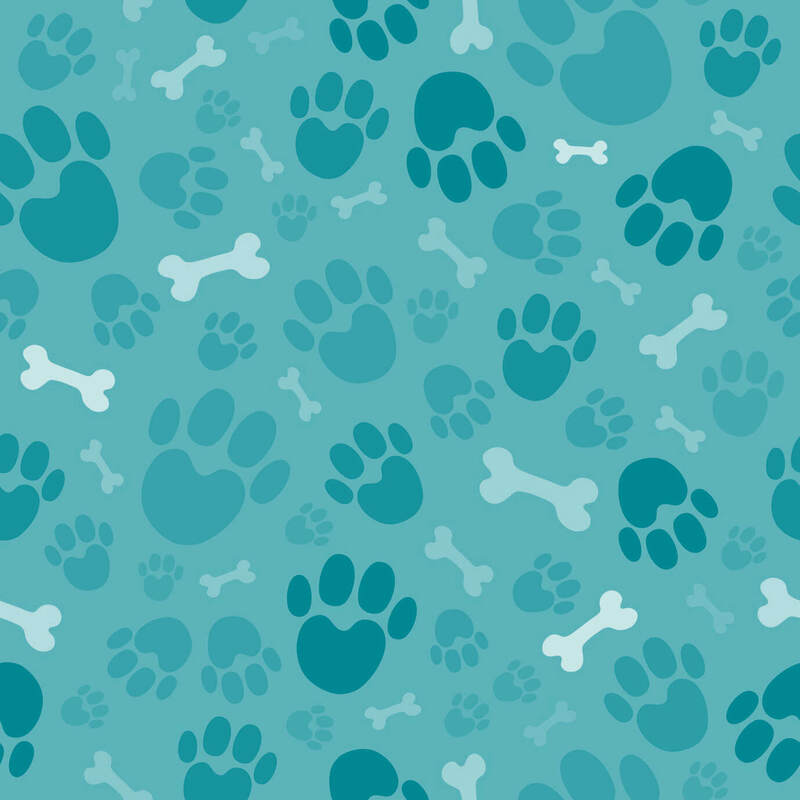 This means that the minerals are bonded to proteins so they are easier for dogs to digest them. The food also contains flaxseed which is another problematic ingredient. Dog food companies seem to be convinced that this is a beneficial ingredient. In fact, it is a good plant source of omega-3 fatty acid and it helps to keep the skin and coat healthy, among other things. However, flaxseed is another phytoestrogen that can interfere with the hormones and the endocrine system. It’s also another phytate, meaning it contains phytic acid that can interfere with the absorption of certain minerals in food. So, while flaxseed is found in lots of dog foods – and it has been used for a long time – we could stand to see a little less of it. The food also contains “natural flavour.” This is a vague term under the FDA and it can mean different things. It sometimes means monosodium glutamate, the flavor and color enhancer. It can mean a broth. It can mean virtually anything because the word “natural” is so indeterminate. Quality dog foods don’t usually have to add flavors to their foods. Many people seem to like the idea of coconut oil, at least for human consumption. We think named animal fats are better for dogs, but we don’t know of any reason why coconut oil would be harmful to dogs in this food. The food also contains blueberries, cranberries and other berries that are often cited as antioxidants. And it includes dried chicory root which is used as a prebiotic. We also note the presence of taurine which is an amino acid usually added for heart health; and L-lysine, which is an amino acid compound that helps build protein. It’s an essential amino acid for dogs – they cannot make it in their own bodies so they have to get it from their food The food also contains dried rosemary which is used as a preservative in dog food. Many people have found that rosemary is linked to seizures in dogs so be careful if your dog is prone to seizures or epilepsy. The food also has several fermentation products which are supposed to help with digestion. It’s probably no coincidence that dog food companies began adding so many fermentation products when they started using peas, lentils, and legumes in large quantities in their foods. These ingredients are plant-based sources of protein, carbs, and fiber that have taken the place of corn and wheat in dog foods. They are also less expensive for dog food companies to use than meat protein. But they are not always easy for dogs to digest. Fermentation products can be very helpful as pre- and probiotics but they can also help dogs digest ingredients that can often produce diarrhea, gas, and bloating. Some of these fermentation products have been used for many years to help livestock digest food better but cows are not the same as dogs. The digestive systems of most farm animals are quite different from a dog’s digestive system. A dog is a carnivore/omnivore but he is not an herbivore like many of the animals which have previously been fed fermentation products with success. Most of the research done on using fermentation products has been done with livestock, and (oddly) fish. We may see some research regarding dogs and fermentation products soon. There is also research underway about dogs and pulses – chickpeas, beans, and lentils. Of course, these ingredients are already being used in some foods. And we would point out that the researchers, farmers, and government involved have a vested interest in proving that pulses are healthy for dogs. But if people objected to corn, wheat, and soy in dog foods – and other ingredients that were deemed to be biologically inappropriate – we think that pulses, including peas, lentils, legumes and the like – really can’t be justified just because they are found in “super premium” dog foods. We like the lamb, venison, and pork in this food; and the eggs are fine (though you can probably expect the price of the food to increase or the recipe to change). However, Now Fresh Red Meat Recipe has some ingredients in it that make us think this is not a very “meaty” food. Lots of potatoes, lots of peas, lots of vegetables as carbs. No doubt these are very good quality ingredients, but we don’t think this is the best nutrition for your dog. Now Fresh Red Meat Recipe for Adult Dogs is a Maintenance dog food. Calorie Content: ME (Calculated) = 3701 kcal/kg or 407 kcal/cup . This is an average/moderate dog food in terms of calories. You can view the entire nutrient profile here. The dry matter basis figures for this food are: 26.7 percent protein; 17.8 percent fat; 4.4 percent fiber; and 42.2 percent carbohydrates. This food has a moderate amount of protein compared to other premium quality dog foods, but a lot of the animal protein comes from eggs; and some of it comes from plant sources (peas). The food has a moderate fat percentage. The fiber percentage is typical for most kibbles today. 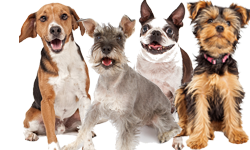 The carbohydrate percentage is moderate compared to most dry dog foods. Where can you buy Now Fresh dog food? You can buy it from Chewy.com (20% Off), Amazon.com, Wag.com, Petfooddirect.com, and other online sources. 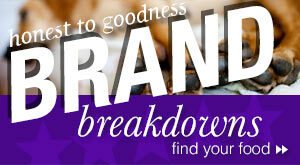 You can also find their foods for sale at many local, independent pet food stores and co-ops. Many people really seem to like the way Petcurean makes Now Fresh foods – no ingredients from China, the sources for their ingredients, their marketing, the statements they make on their FAQ pages. The foods like like good premium quality foods with some good ingredients. However, we think you can find good premium quality foods that have similar benefits with more meat sources of protein and fewer plant sources of protein, if this is important to you. We think it’s important. Hi, I just switched my 9year old jack russel to NOW but I think it is important to find good premium quality foods that have similar benefits with more meat sources of protein and fewer plant sources of protein… Which one would you recomend? Awe we have an 8 month old irish setter male and have just started him on Petcurean’s new Gather, very happy so far with the results, safety is a used concern, just lost our two dogs, english setter and lab cross last year to cancer, the food choice these days makes my head spin, hoping for a long and healthy and happy life for our Finn.